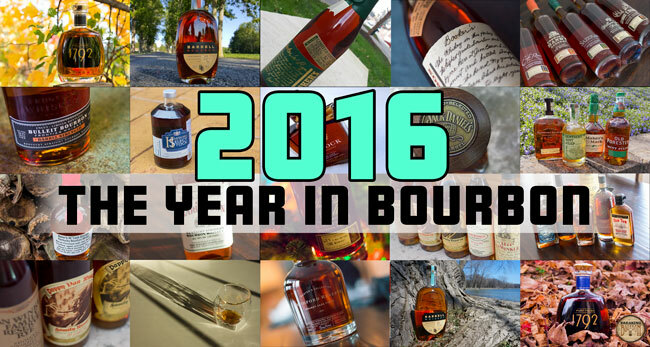 With the bourbon industry undergoing massive changes, how best could we summarize 2016? Is it a year to remember or a year we’ll soon forget? Are we experiencing a bourbon renaissance, or is this the beginning of the end of bourbon as we know it? As 2016 draws to a close, journey with us as we look back on the year in review. ‍The bourbon industry as a whole has been experiencing phenomenal growth in demand resulting in distillery expansions, new distillery startups, rising prices, loss of age statements, and a rapidly increasing number of new product labels. Bourbon continued to flood the mainstream; cocktails, food, art, marketing, pop culture, and more, arguably helping solidify the resurgence of the spirit itself. Though the majority of bourbon consumption takes place within the United States, bourbon makes up approximately 2/3 of total U.S. spirits exports, topping $1 billion in 2015 and expected to increase for 2016. 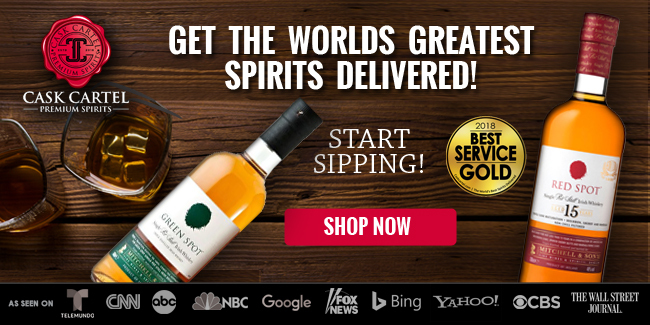 The largest import markets for the spirit include the United Kingdom, Japan, and Australia. Currently the largest market for whiskey worldwide, India imports a relatively small amount of bourbon, though this could quickly change as year over year growth has been significant. 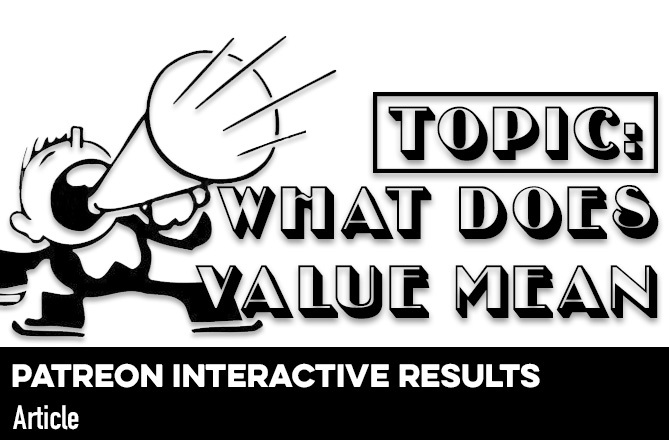 While demand has grown as a whole, a younger generation of consumers with a taste for a “premium experience” and willingness to pay for it, has skewed the growth towards the more expensive “special” releases. Iconic brands such as Pappy Van Winkle might be credited with starting the trend, but the continued success of new and premium priced labels could be credited with keeping it going. In an effort to separate from the masses, producers continued to push boundaries in barrel finishing, experimentation, and marketing strategies. Some industry critics have voiced their discontent with the rapid changes and arguably superficial marketing in some cases, suggesting demand has exceeded a reasonable level and consumers as a whole have gone too far. On the other hand, a comparison with Scotch suggests bourbon might simply be following a similar trend and there is still a good deal of room for growth. While the future of bourbon is uncertain, the growth and popularity bourbon has experienced in 2016 has been undeniably tremendous. 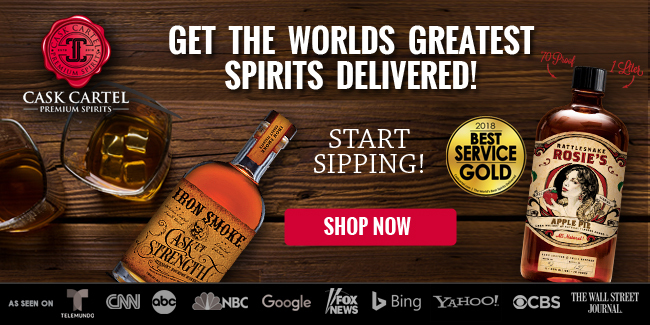 ‍Kentucky bourbon production is expected to break records in 2016. According to the Kentucky Distillers Association, Kentucky distillers filled 1,886,821 barrels of bourbon in 2015, up over 44% from 2014. While 2016 counts have yet to be released, an increase of only 2% in 2016 over 2015 would surpass the state’s previous 1967 record of 1,922,009 barrels filled in a single year. Not surprisingly given the growing production numbers, large distillery expansions continued at an incredible rate. Buffalo Trace announced a $200 million expansion that would add 30 new warehouses over the next 10 years. Brown-Forman’s Jack Daniel’s unveiled a $140 million Lynchburg distillery expansion, following a $100 million expansion just three years ago. Four Roses continues with expansion projects, including breaking ground on a $55 million expansion at their Lawrenceburg distillery doubling distillation output and adding four new warehouses to their Coxs Creek warehouse and bottling facility by 2018. 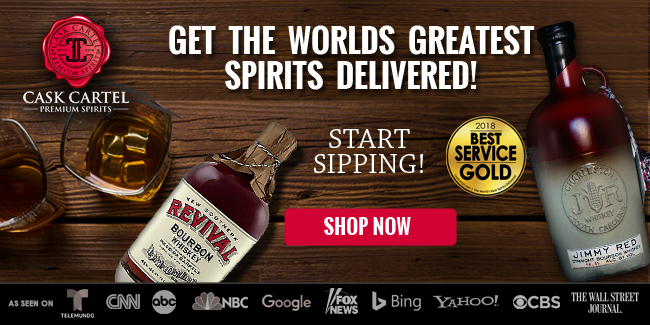 Heaven Hill, Wild Turkey, and other expansions continued as well. But it wasn’t just the large distilleries that have been growing. 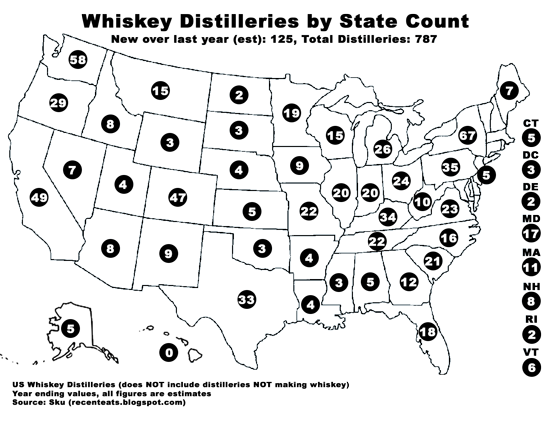 In 2016 an estimated 125 new whiskey distilleries popped up in the United States according to whiskey blogger Sku. This brings the total number of United States distilleries making whiskey to approximately 787, an increase of nearly 20% over 2015. Retired Four Roses master distiller Jim Rutledge returned from a very short retirement to announce plans for his own distillery that will bear his namesake, the J. W. Rutledge Distillery. Celebrating 50 years in the industry, Jim was also honored by a grassroots organization known as The Bourbon Crusaders who organized an event in his honor. Proceeds from the event went to support the Crohn’s & Colitis Foundation in his honor. The historic Old Taylor Distillery in Woodford County Kentucky was renamed Castle & Key Distillery. The distillery has been undergoing massive renovations since Marianne Barnes announced her plans to leave Woodford and begin new distillation operations as master distiller at the historic site. 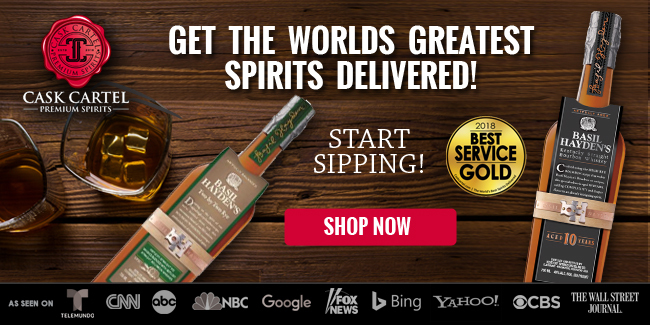 Barnes began distillation of their flagship bottled in bond bourbon over the summer. The company also plans to release gin in the next few months, along with rye whiskey by 2018. With respect to company ownership, big changes took place for Utah’s High West Distillery and West Virginia’s Smooth Ambler Distillery. High West was acquired by spirits giant Constellation Brands for $160 million, and Smooth Ambler sold a majority stake to Pernod Ricard. Both High West and Smooth Ambler followed a similar growth strategy, sourcing relatively large quantities of whiskey from other distilleries to bring to mass market while getting their own distillation operations up and running. 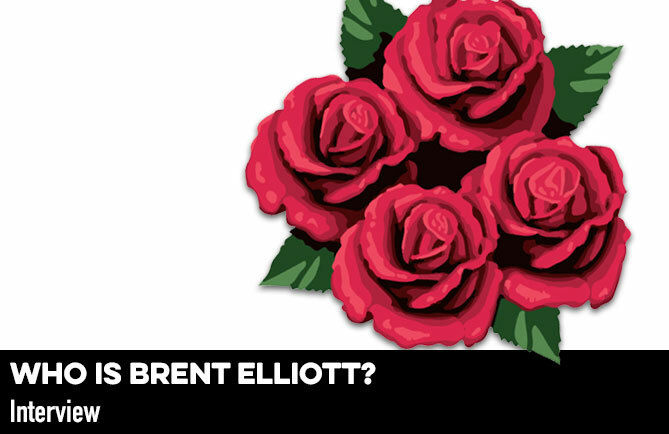 ‍Four Roses new master distiller, Brent Elliott, surprised fans by bringing back their limited edition single barrel after a two year hiatus, and dubbed it “Elliott’s Select.” A 14 year old OESK recipe bottling, approximately 10,000 bottles were released. Later in 2016, Four Roses released their Limited Edition Small Batch, a blend of 12 year old OESO, 12 year old OBSV, and 16 year old OESK, with approximately 12,000-13,000 bottles released in total. 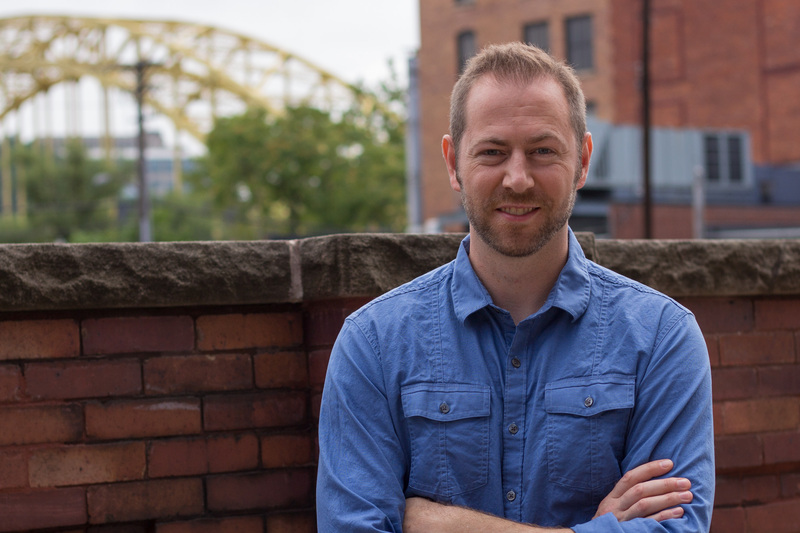 Based on an interview we had with Elliott earlier this year, he’s as down to earth as they come, demonstrating promise for continuity of the respect from the community his predecessor had helped Four Roses earn. 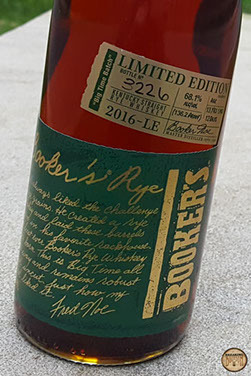 Jim Beam released a limited edition rye under their Booker’s label, Booker’s Rye, which was received with critical acclaim. Awarded World Whiskey of the Year by Jim Murray, and American Whiskey of the Year by Whiskey Advocate , the whiskey also found a place on our own Favorite Whiskeys of 2016 list. Behind its $300 MSRP, this 13 year / 1 month / 12 days old rye was a tribute to the late Booker Noe, who served as longtime master distiller for Beam. Barreled in 2003, the whiskey in this release was among the last barrels laid down by Noe before his passing in 2004. It’s said he took the specific recipe to his grave, making this a truly unique and one of a kind whiskey. 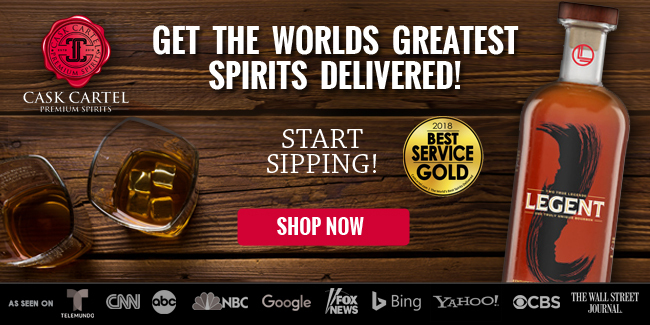 The Beam family of whiskeys experienced sweeping changes to their more readily available brands culminating in the announcement of a significant price increase for their Booker’s brand of bourbon, from $60 (often found for less) to $100 beginning in 2017. This followed announcements of Knob Creek Small Batch losing its 9 year age statement, a packaging redesign for the Jim Beam line, and the quiet death of Old Grand-Dad 114, which we awarded a positive review and even named on our Best $20-$30 Bourbons list. Brown-Forman released the third edition in their premium Old Forester Whiskey Row series, 1920 Prohibition Style. Following 1870 Original Batch and 1897 Bottled In Bond, 1920 is the highest proof, and highest priced, release in the series to date coming in at 115 proof and $60. Intended to pay homage to a significant event each year in the history of bourbon, 1920 pays homage to January 17, 1920, the day it became a federal crime to manufacture, transport, or sell intoxicating liquor in the United States. Old Forester was one of only six distilleries that was granted a permit for the purposes of supplying medicinal whiskey during Prohibition. According to Brown-Forman, this 115 proof whiskey is said to be similar to what would have been batched by company president Owsley Brown at the onset of Prohibition. Sazerac’s Barton 1792 Distillery continued its line expansion with their Single Barrel, Full Proof, and High Rye releases. Noted as limited releases by the company, the general high quality combined with reasonable pricing for these special bottlings experienced consumer demand leaving little on the shelves at MSRP. Buffalo Trace’s highly sought after Buffalo Trace Antique Collection, a collection of bourbons and ryes representing a cross-section of American whiskey, hit the market this year with estimated overall bottle counts up more than 30% over last year. Breaking it down by individual whiskey bottle counts, the only decrease was Sazerac 18 Year, down approximately 35% from 2015. Notably, this was the first year Sazerac 18 Year was comprised of new distillate, as Buffalo Trace had been drawing down from steel tanked stock in previous years for the brand. We reviewed all five whiskeys in the collection here. Buffalo Trace released three unique vintage dated bourbons honoring the Old Fashioned Copper Distllery. Dating back to 1980, 1982, and 1983, only 200 bottles of O.F.C. were released in 2016. This first offering was only made available to nonprofit organizations at no charge to be used to raise money for their causes. A list of organizations who have received bottles can be found here. Michter’s released the most expensive American whiskey ever, Celebration Sour Mash 2016 Whiskey, which hit the market at $5,000 per bottle. A non-specified type and non-age stated whiskey, the company says it’s a blend of 6 barrels ranging from over a decade to 33 years old. It’s bottled at 116.8 proof. With a total release of just 256 bottles, this whiskey that couldn’t fill the volume of a single barrel if all bottles making up the release were combined (a standard 53 gallon barrel can hold the volume of 267 750ml bottles of whiskey) will fetch a total of $1.28 million at retail. ‍Wild Turkey surprised fans with an announcement naming Matthew McConaughey as their creative director, unveiling the first in a series of videos featuring McConaughey as storyteller. Though it may have appeared gimmicky on the surface, the first video very eloquently showcased the history and people behind the brand - a stark contrast to Beam’s Mila Kunis commercials . 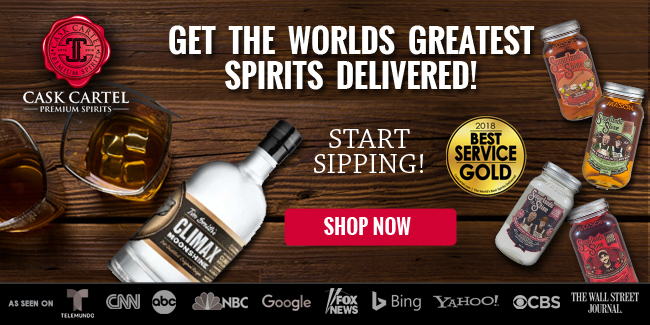 While Wild Turkey quietly delayed their Master’s Keep Decades release in the United States for 2016, McConaughey’s role suggests 2016 might be the calm before the storm as Wild Turkey’s popularity could see a greater surge in years to come. A number of American whiskeys were released under celebrity names and labels, following a trend spread across numerous types of spirits. Notable releases include Brent Ratner’s The Hillhaven Lodge and Drake’s Virginia Black Whiskey, both blends of sourced whiskey. ‍Buffalo Trace completed phase one of their first Warehouse Xexperiment, investigating the effects of natural light on aging bourbon barrels. Dubbed “The most advanced whiskey warehouse ever built,” the vision for Warehouse X is to take whiskey aging experimentation, something Buffalo Trace has been doing for over 25 years, to the next level. Interestingly, we conducted our own experiment relative to bourbon storage, with storage in direct sunlight as one of the conditions. Our 24 month results along with our conclusion will be posted soon. Jefferson’s CEO and Master Blender, Trey Zoeller, continued his experimentation with aging bourbon aboard a boat testing the results of motion on aging created by the boat’s movement. Known for Jefferson’s Ocean, first released in very limited quantity as an experimental voyage in 2012 and now an ongoing release, Zoeller has been experimenting with bourbon in motion ever since. This voyage is a little different, however, as it was just a few barrels aboard a 23 foot boat. The journey took the bourbon from Louisville, Kentucky down the Ohio and Mississippi rivers, to New Orleans, then Key West, and finally up to New York. 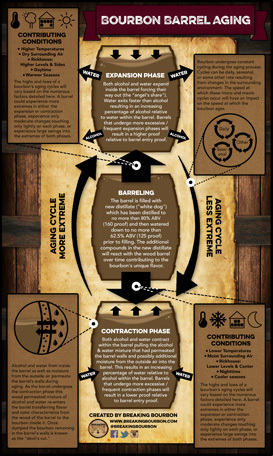 According to Forbes, Zoeller purposely chose a small vessel to that the aging barrels would experience more motion. This differs from the Ocean bourbons (currently releasing the 9th voyage) which, with the exception of the first voyage, have all been aged aboard container ships. While bourbon is and has been traditionally aged for a relatively long period of time, typically greater than four years and often longer, the recent increase in demand has inspired the concept of alternative aging methods. Referred to as “rapid aging,” innovators seek out methods to recreate the naturally occurring reactions bourbon undergoes within a barrel over time, but in a much shorter period with the assistance of technology. Methods include TerrePURE’s Terressentia, Lost Spirits THEA (Targeted Hyper-Esterification Aging) , and Cleveland Whiskey’s disruptive technology. This is not a new concept for 2016, but has continued to reach the masses as experimental rapid aged whiskeys grow in production and distribution, sometimes hiding in plain sight. Controversial within the bourbon community, 2016 saw continued growth in the area. And there is so much more. From the growing number of whiskey bloggers, to the growing number of bourbon consumers, to the seemingly never ending list of new releases, 2016 will surely go down as a tremendous year for bourbon. What will you remember most from 2016?